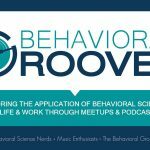 Today I’m Grateful For: My Car Window Being Stuck Down – Behavior Matters! Pulling into the parking ramp before my Rotary meeting today, my car window went down but it didn’t come back up…and I’m grateful for that. I know you are thinking “Huh? Have you gone bonkers?” But here is why I’m grateful…I could have been driving down the interstate at 60 miles per hour in the 18 degree weather we have (I wasn’t). I could have to park my car on the road and get the snow plow coming by and sending a foot of snow into the car (I don’t). I could have been at the airport and had to leave my car with window down for a week (I’m not). Thus, in the big scheme of things, this could have been a lot worse and I’m grateful for that. Today I’m Grateful For: My car window being unstuck « What Motivates You?